What is it with Mervyn Peake? He just can’t seem to stop himself killing off major characters. Just cast your mind back to the beginning of Titus Groan and compare the cast list to those still standing at the end of Gormenghast. There are crime and horror writers out there who’d be proud of this kind of body count. You’ve basically just got Titus, the Countess, the Prunesquallors and Rottcodd left and, let’s face it, only Titus and the Countess have really been central to the story. In a way, I’m a little uneasy about beginning Titus Alone as we near the final part of the Gormenghast Readdalong. There is something so final and so appropriate about the ending of Gormenghast that I have a feeling Titus Alone may feel a bit unnecessary, a drag on the first two books. We’ve seen Titus from birth to adulthood, striding out from a storm-drenched Götterdämmerung into the wider world, having thrown off the shackles of Gormenghast’s deadly ritual. I’m not convinced that his next steps won’t, in hindsight, reduce the impact of the climax of Gormenghast. Having said that, I’m not actually greatly impressed with young Titus. As I said in my post on Jackie’s Farm Lane Books Blog last week, I have trouble with Titus’ selfish impulse to run away from his responsibilities. Yes, I know that he is young. Yes, I know that the dead hand of tradition must have been weighing heavily on him but I can’t help feeling that he should have stayed and used his position as Earl Groan to begin to change things. I feel more strongly about this now that we know that he is viewed as a hero by the castle community for the killing of Steerpike. He must have been able to take advantage of this goodwill to instigate some changes. Instead, he chooses to leave, to venture out into the world. Perhaps the loss of Fuchsia broke the final emotional tie to the castle. I’m also struck by the almost organic way in which old habits and customs reassert themselves in the castle after the storms, the folds and the deaths. The Poet assumes the role of Keeper of Ritual that Sourdust, Barquentine and Steerpike had all held (I wonder if he had any second thoughts, given the grisly ends his predecessors came to?) and begins to make matters even more elaborate. At the very end, there’s a palpable sense that the very castle itself is exert itself to make things fall back to the way they were. Almost as if the castle were healing itself. I wonder if Titus Alone will feature the castle at all. I’d like to see what happens there as well as what happens to Titus. Another thing that has jumped out at me in this last part of Gormenghast is the Icarus-like nature of Steerpike’s fall. Having plotted, manipulated and killed his way to the top, his hubris at trying to seduce Fuchsia and wanting to kill and replace Titus has attracted the wrath of Gormenghast’s gods and his descent into disgrace, madness and death follows inevitably. There’s also a nice symmetry to his death. At the start of Titus Groan, he uses the ivy on the castle walls to help him climb up and away from the kitchens. At the end of Gormenghast, he is slain while hiding amongst the outgrowth on the castle wall. For so much of the story, the Countess has been portrayed as feeling nothing for her children but here, at the end of things, no words are necessary. I guess that all of us who are parents will have done this, or something similar to our sleeping children, pulling a cover up, tucking a stray limb back into bed or brushing an unruly mop of hair away from a small, sleeping face. I’ve certainly done it on many nights. With everything that’s been in the news over the past few days, I’ve had cause to spend time reflecting on how heart-rending the loss of a child must be and so, when I read this sentence, I felt a lump in my throat. The Countess didn’t need to say anything but, with this single action, I felt her love for Fuchsia and her grief. Gormenghast has been moving and thrilling – Titus Alone has a hard act to follow. I'm a bit worried that Titus Alone will redice the impact of Gormenghast too. I have heard a lot about the trilogy and most people seem to love the first two books, but not the third. I am interested to see what happens, but I am preparing for the worst. I guess that is a good thing because our expectations aren't too high. I seem to like Titus a lot more than you. The poor boy has been through a lot in his little life and so I can understand his desire to go out and see the world. Perhaps he'll come back and chabge things once he's had some life experience? I concur with booketta - I loved the BBC series of this. 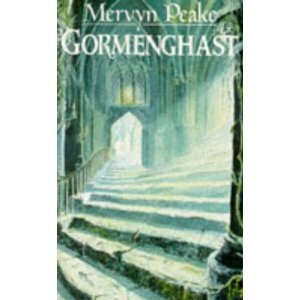 I tried to read Gormenghast once but I found it far too complicated, although I was only 13 at the time! I should give it another go really. Your descriptions sound as though the TV series stayed pretty true to the book.